On the 8th of February 2018, Traffic Radio Station celebrated its 13th birthday. In short, this is what happened during the last 12 years: in the first year we had been learning how to advertise and how to reach our audience; in the second year we introduced to you the Bulgarian artists; in the third one we modified our website in order to make it more interesting and creative; in the fourth we succeeded in holding the first place in the chart of the most popular internet radio stations; in the fifth we proved to be providing “the best from electronica and house music”, and made a big step by starting the shows of international resident DJs. 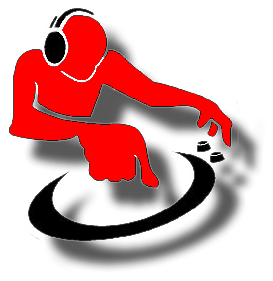 DJ Bobby D presents TRAFFIC RADIO STATION – the best house and club music (funky,deep,nu-disco,tech,minimal,progressive). Traffic Radio Station online since 25.10.2005 at 128kbps/ 44khz ; playing with Winamp and Media Player. Traffic Radio Station is created for friends and colleagues,thanks to Networx-BG. In a period of 8 months since 08.02.2005 it has been only local,then since 25.10.2005 it has been broadcasted in Internet. Тук ви се дава възможност да се чуе и разбере за авторските ви продукции. Traffic Radio Station ще промотира младите продуценти като излъчва промото им в продължение на 1 месец. Всеки вторник и четвъртък от 23:00 часа, слушате сетове на Български DJs. Искате ли и други да чуят вашият сет? Всеки вторник и четвъртък от 23:00 часа по Traffic Radio Station се излъчват сетове на колеги, ако искате и други да го чуят. От 20.08.07 се въвежда ново условие за всички които искат да предоставят сет за Traffic Radio Station. Не трябва да е изплъчван и разпространяван, да е минимум 60 минути, да е подбран добре стилово (funky,deep,nu-disco,tech,minimal,progressive).